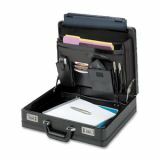 16" laptop compartment with adjustable spacers. 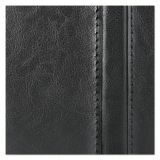 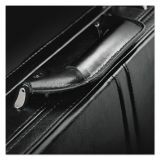 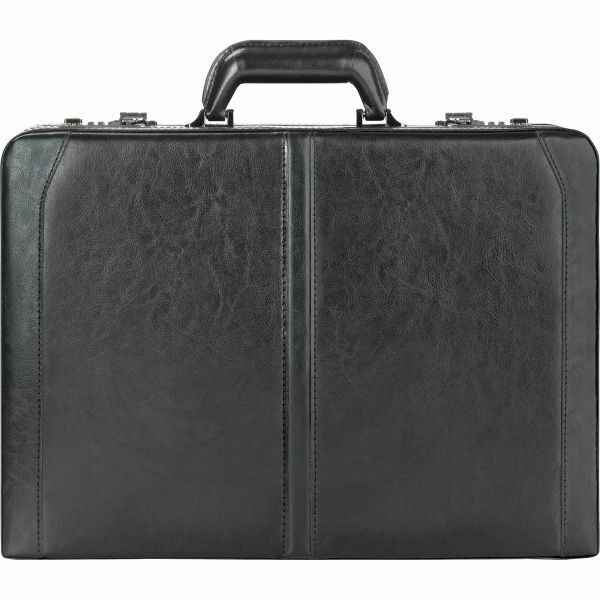 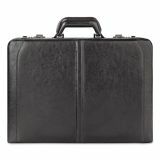 Solo Classic Leather Attaché, 16", 18" x 4 7/50" x 13", Black - Expandable Leather Computer Attache expands from 4 to 5" to hold heavy loads. 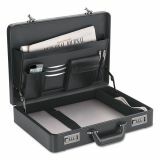 Removable computer sleeve holds computers with screens up to 15." 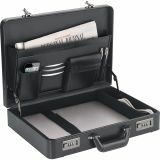 Includes three-tier organizer file, combination locks and a removable, adjustable shoulder strap. 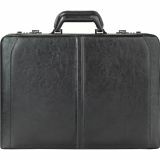 Made of 30 percent recycled content.